No matter how you might feel about McDonald’s, the chance to get free McDonald’s for life is a hell of a deal. 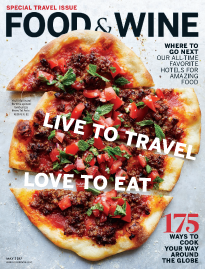 How many other chains can offer free meals at as many as 35,000 locations around the globe? Starting this Friday, the burger giant will be giving one lucky winner that opportunity, launching a sweepstakes for an extremely rare McGold Card which bestows upon the holder the equivalent of free McDonald’s for the rest of their life. And all you have to do to enter is order McDonald’s through the company’s mobile app. Reportedly first created by a franchise owner in 1965, a McDonald’s McGold Card, and the free food it comes with, is a thing of legend. According to Today, examples of noteworthy honorees include actor Rob Lowe, whose card is good for locations in Santa Barbara and Goleta, California, and Bill Gates who has been rumored to have a globally-accepted McGold Card (as if he needed one). Now, for what the company says is the first time ever, McDonald’s will be randomly awarding a McGold Card as a way to promote Mobile Order & Pay on the chain’s app. According to the brand’s website, customers will receive one entry every time they pick up an order that they’ve placed by using Mobile Order & Pay from August 10 to August 24. After that period, one winner will be chosen at random to receive this McGold Card which will be presented in the form of “up to two meals per week for 50 years, awarded as a $1,000 credit on winner’s McDonald’s App and $35,400 cash, plus $15,600 to offset taxes on the prize, awarded as a check for $51,000.” So yeah, basically mostly cash, but saying you’re giving away a lump sum of money isn’t as fun. 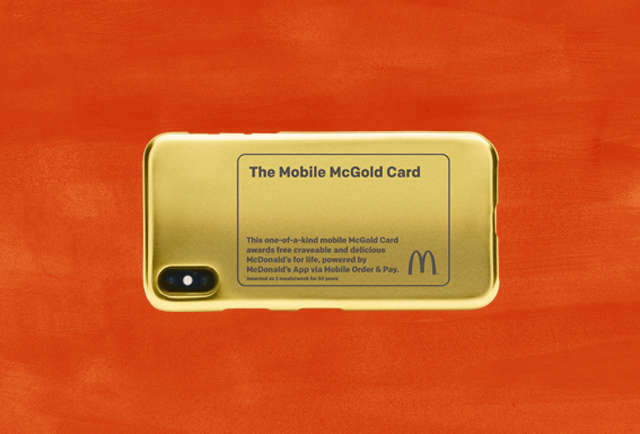 However, if it’s fun you’re after, the winner will also receive a custom, one-of-a-kind 24-karat gold-plated McGold Card phone case, pictured above. Even Rob Lowe and Bill Gates don’t have one of those, so take that, dudes who can already afford all the McDonald’s they want but don’t have to pay for it anyway!